The authors of Amor and Exile are commemorating the first year since publication by hosting an Amazon Kindle Countdown Deal today, Saturday, May 31st, through Monday, June 2nd, 2014. We never would have guessed that a YEAR after delivering 635 books to Congress, immigration reform STILL wouldn’t have passed! But the fight still continues. To help get the word out there to the American public who can help us win this fight, we’re practically giving it away copies of our Kindle version for $0.99 today, $1.99 tomorrow, and $2.99 on Monday on the Kindle store. Regular sales price is $7.99. Kindle apps are available for almost every mobile device and laptops. Please tell all your friends why you think they should download a copy. Or if you haven’t yet, now’s a better time than ever to learn more about the laws affecting American families with undocumented spouses and their heartbreaking stories. Congress is back in session and 2014 will be another do-or-die year for immigration reform. 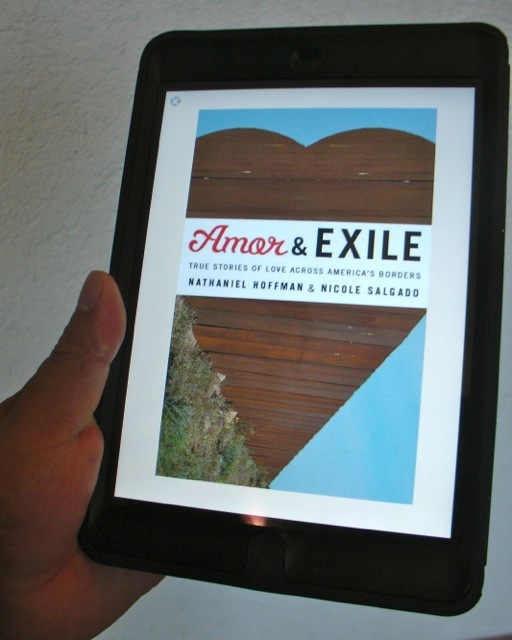 To promote meaningful debate and public awareness about immigration, deportation and exile, we will be giving away copies of the Amor and Exile free Kindle book on Thursday and Friday of this week! Our Kindle version can be read on almost any computer, tablet or smartphone, not just on Kindles. What: Download the free ebook for yourself or gift to a friend by clicking the “Give as a Gift” button on the Amazon page! NOTE: We’d like to move thousands of copies of the book next week and need your help! The more books we move, the more the folks over at the Amazon book palace will notice our little work of nonfiction. This is the next phase in self-publishing. We are counting on our readers to rate, review and download our book so that the rest of the world has a chance of seeing it out there! 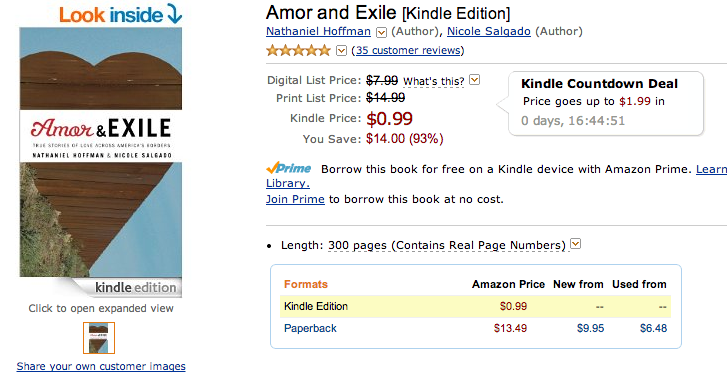 Please plan to download a free Kindle book of Amor and Exile from the Kindle store on Thursday and Friday, even if you already have a copy of the book! You can use it as a backup copy, gift to a friend or use it to beef up your digital library. If you support immigration reform or human rights, please share this special opportunity with everyone in your circles! And thanks for all of your great reviews of the book as well! If you have any questions about the giveaway or how to gift a book to a friend, please ping us. Thanks again for your support! 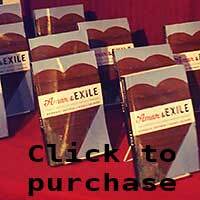 Book Trailer for Amor and Exile: True Stories of Love Across America’s Borders, the book I wrote with Nicole Salgado. Book awaits your review in the Kindle Store. On the heels of that Kresge grant, the station received many additional donations in the $10,000 to $100,000-plus range. The rest of the money came in much smaller amounts. These large donations could cause some to question the station’s prized status as an “independent” radio station. When KDHX received a quarter-million-dollar grant from the Corporation for Public Broadcasting in 2007, one of the first things the nonprofit did was bring in a media sociologist to see what people valued most about KDHX. One of the most commonly given answers was its “independence,” but as it turned out, different people had different definitions of the word. To programmers (who host their shows without pay), it means they have the freedom to play whatever music they wish without anyone exerting control over content. To the station’s board of directors, it is in decision-making — the lack of corporate ties allows the station to be more nimble in its business dealings. To the listener, it simply means no one is telling the station how to run itself. The Interdisciplinary Master of Arts degree in data journalism proposed here describes a course of study that will prepare the student for work in data journalism, a specialty within the field of journalism that has flourished in the past five years. Websites like ProPublica, data scientists like Nate Silver, until recently with the New York Times, and data desks at media outlets from the venerable Washington Post to the upstart Texas Tribune to our own Boise State Public Radio demonstrate the popularity and usefulness of incorporating stronger data collection, analysis and presentation skills for journalism. Data journalism provides for an increased watchdog function of the popular press, leads to more rigorous storytelling backed by data, fits well with the the online news ecosystem and increases collaborations between scholarship and popular journalism. And the open data movement—a trend of providing large data sets to the public, along with analysis tools—while most vibrant in certain journalism circles, extends to government, university and even the private sectors. I propose a course of study at Boise State that leans on both the practice of data science, considered broadly, and the theory behind popular media, especially online media. Data considered broadly includes traditional sources of data—collected and observed data and widely available government data sources—as well as wider conceptions of data including text analysis, web scraping, geographic data, social media data and API (application programming interface) analysis. Courses in geographic information systems, statistics and survey methods will provide a background in the limits and uses of data and data analysis tools (GIS, statistical packages,etc.) A graphic design course and computer science course (or independent study) in best practices for serving and presenting data online (data curation) will round out the skills necessary for presenting findings to the public in attractive and useful ways. A second track of study in communication theory and nonfiction writing will round out the storytelling skills that represent the other side of data journalism. Finding and telling stories based on number crunching is essential to presenting data to the public. I have 13 years experience in daily and weekly journalism and propose a few courses in media theory to ground my experience in contemporary research on rapid changes in journalism, particularly the factors associated with the massive shift to online journalism. 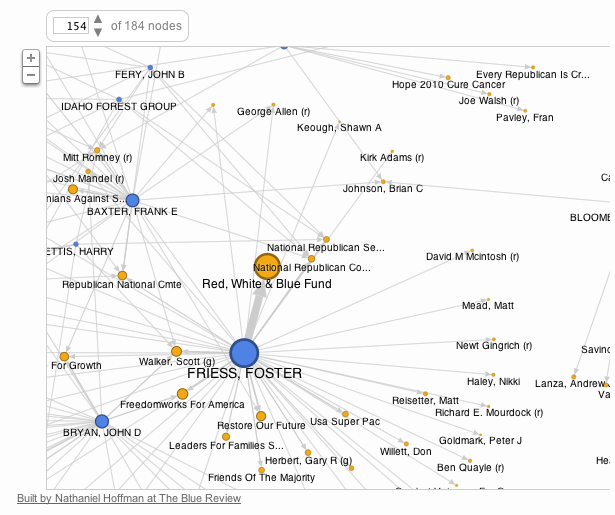 Boise State does not currently offer an MA in journalism and the MA in communication strays significantly from my particular interest in data journalism. No current graduate program at Boise State fits my needs directly, but the interdisciplinary MA allows for a custom program, pulling relevant courses from several Boise State Departments. In fact, only a handful of journalism programs across the country now offer tracks in data journalism. Columbia University now offers a dual degree in journalism and computer science, for example, and many journalism schools are developing courses in programming and data science or specializations in data visualization and curation. By combining the offerings in public policy, community planning, communication, computer science and English at Boise State, we can approximate such a course of study and aid Boise State in further developing its journalism programs. Additionally, the combination of qualitative and quantitative methods that will constitute my thesis, will constitute a true implementation of interdisciplinarity. Finally, my position as editor of The Blue Review, an online journal of popular scholarship, published by Boise State’s College of Social Sciences and Public Affairs, serves as a venue for many of the concepts covered by this proposal. The Blue Review will continue to serve as a lab for data journalism, marrying scholarship and reportage, serving open data to the public and providing popularly written analysis and description of research findings. This proposed Interdisciplinary MA in Data Journalism represents a cutting-edge program, at the forefront of the national and international trend of bringing data to the masses. A thesis, still in the development stage, promises to present new findings on the marriage of journalism and scholarship in the realm of both information provision and the financial models supporting journalism, a topic with global ramifications. The proposed courses represent a complete program in data journalism with a clear educational and career outcome.